Omelette Presents the Australian Tipper tour, and exclusive Melbourne show. plus Spoonbill ::: Opiuo ::: The Mollusk ::: Dakini ::: Bass Bin Laden. Omelette continues to deliver the freshest wonkadelic glitched up grooves from across the world and is ecstatic to present one of the most truly revered, talented and influential electronic producers on the planet: Dave Tipper. 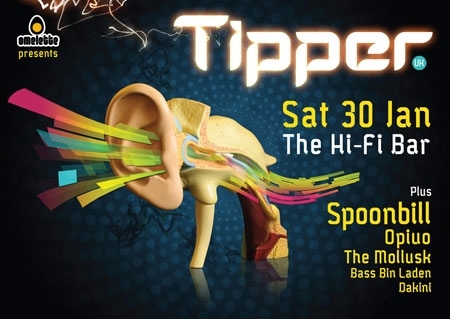 This event is set to be the ‘best in class’ wobble funk-up party to grace the Australian shores and is the exclusive Tipper Melbourne show… not to be missed people!